“Good meditation posture is important because it balances all the systems in your body, beginning with the channels. When the channels are balanced, the winds become balanced. When the winds are balanced, the mind becomes balanced. When the mind is balanced, thoughts and emotions lose their force, and no longer block your natural wisdom energy from flowing freely. The conduct of speech begins with refining your wind energy because wind is the cause of speech. To refine your winds, perform the three-part breath purification exercise three times. Imagine that all the negative, dualistic emotional energy that has been clogging your channels is being completely removed. When you breath out, make your exhalation slightly longer, and feel that all the toxic energy in your body is streaming out of your nostrils and mouth into far away space, where it completely dissolves. When you finish the exercise, feel very confident that your winds and channels are now completely pure and filled with refined wisdom energy. Photo of Ven. 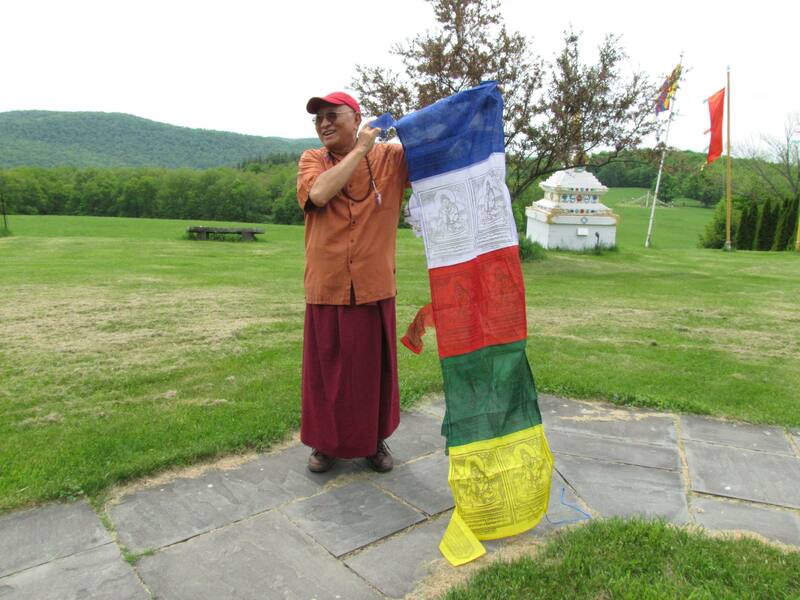 Khenpo Tsewang Rinpoche during the Vajrapani Windhorse Retreat at Padma Samye Ling on May 26, 2018.